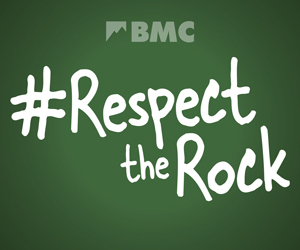 Many BMC members enjoy taking their dog for a walk and to the crag but increasingly, there is a growing awareness of the need to preserve and conserve the fragile landscapes we love to visit with our furry companions along with an increasing amount of advice and legislation governing what we should and shouldn’t do. As a responsible dog owner, you need to know about dog laws – your rights and responsibilities, in order to protect yourself, your dog, other people and other dogs.The laws governing dogs vary greatly depending on where you go. For instance; a short walk may start on a public footpath through a grouse moor where dogs are banned – a restriction to protect sensitive wildlife. The walk continues onto a concessionary footpath, which is not marked - dogs may be allowed, or allowed only on a lead, depending on the concession which isn’t always clear. The walk continues onto a sheep track - which looks the same but isn’t as dogs must be on leads at all times. The sheep track runs across an unmarked boundary of two moors and briefly the dogs can run free. Over a stile and into an enclosure used for lambing however, dogs are once more banned as it’s lambing time. The dog walker's experience can be a little daunting but problems can and do occur, sometimes with catastrophic results for livestock, birds nesting on or near the ground with recently fledged young still in breeding areas, and for the dog owners themselves. Similarly, problems can occur at the crag with dogs worrying other climbers, wildlife and creating dog mess. If you are out on a walk with your dog, as at all times, adhere to the Countryside Code. Be particularly vigilant during the breeding and nesting seasons, and do not allow your dog to run through crops, hedgerows or undergrowth where it may harm or disturb wildlife. Extra care should be taken on bridleways and byways where dogs may frighten horses, or be at risk from vehicular traffic. By law, you must keep your dog under effective control so that it does not scare or disturb farm animals or wildlife. On most areas of open country and common land, known as ‘access land’, you must keep your dog on a short lead between 1 March and 31 July – and all year round near farm animals. At certain times, dogs may not be allowed on some areas of access land or may need to be kept on a lead. Please follow any official signs. Where you can go with your dog – how the law works? Byway open to all traffic - as for restricted byway but including motorised vehicles. As dog walkers, look out for horse riders, cyclists and joggers. They can startle your dog - or your dog can startle them - and cause an injury or accident. It’s best to put your dog on the lead as they come past. The law protects your right to walk these paths at anytime and requires you to take simple steps to prevent harm to wildlife, farm animals and other people, so always follow the Countryside Code. Since 2004, new laws have opened up new areas of land for walkers with dogs across areas of mountain, moor, heath and down, and registered common land, known as ‘access land’ in England and Wales. These areas are shown on Ordnance Survey Explorer maps as areas shaded in orange and are demarcated on the ground with the open access symbol. to protect sensitive wildlife and farm animals, in some places official restrictions may ban walkers and their dogs for a few days, or even years on grouse moors. This doesn’t restrict your access along any nearby public paths. To help manage the land in other areas, ensure your safety or prevent fires, there may be other temporary official restrictions. Again, these don’t restrict your access along public paths. into fields or enclosures of not more than 15 hectares used for lambing (for not more than six weeks in any calendar year). These do not apply to guide dogs for blind persons or hearing dogs for deaf persons. Plan ahead to avoid being disappointed. Any restrictions in place can be viewed on the maps at www.countrysideaccess.gov.uk and are indicated by official signage in the countryside. There are many other areas where you can walk with your dog, such as country parks, green spaces and cycleways. There are beaches, Forestry Commission woodlands, and local agreements where government and local councils help farmers provide extra paths. It is often a dog’s natural instinct to chase livestock, but this can cause distress, injury and death for the animals concerned – including your dog. In some cases, farmers can legally shoot a dog that is worrying their livestock. Look ahead and keep your dog on a lead when you encounter livestock. However, if farm animals have young, or have been worried by dogs in the past, they may ‘charge’ or chase you. There have been several reports recently of unfortunate cases where people have been attacked or trampled to death by cows whilst quietly walking their dog. Most members of the public are wary of bulls, but few realise that cows, particularly those protecting newly-born calves, can also be dangerous. So what should you do? Keep calm, carry on……If you find yourself in a field of suddenly wary cattle, move away as carefully and quietly as possible, and if you feel threatened by cattle then let go of your dog’s lead and let it run free rather than try to protect it and endanger yourself. The dog will outrun the cows and it will outrun you. If dogs disturb or chase wildlife, this may fatally harm the animals involved and jeopardise schemes that help protect vulnerable plants and wildlife. It’s an offence to disturb specially-protected birds, so keep your dog on a lead or under close control in sensitive areas. Disturbance to birds is particularly problematic in the early morning and in the evening when they are trying to settle. Even well-behaved dogs can scare birds and other animals away from their young. Respect official signs restricting access with your dog. Make sure your dog doesn’t chase wildlife. This can cause injury and distress to both wildlife and your dog – especially if your pet gets lost, or runs across a road. Keep your dog close to you so it does not sniff out and flush nesting birds during the spring and early summer. Keep your dog on a short lead in areas of access land between 1 March and 31 July. Other rare birds are most sensitive in winter when they roost on the ground, as they can become exhausted and die if frequently disturbed. Clear up dog mess – it can cause infections in people and other animals and affect the special soils that rare plants need to survive. Will the crag or area you are visiting be busy? Not everyone likes dogs, particularly noisy dogs. Many climbers and walkers enjoy the tranquillity and beauty of our natural environment. Consider the environment – is the crag or area you are visiting in a conservation area (e.g. ; SSSI) – could your dog damage or attack protected species? Will you be near livestock – if so your dog must be kept under close control or on a lead at all times. Will your dog be a distraction? Do you feel comfortable leaving your dog at the bottom of the crag? Will it be properly tethered? Is it well behaved in the vicinity of other people and other dogs? Are you happy to leave your dog tethered to a rucksack or boulder at the base of the crag? Are you 100% confident it will stay put if off the lead? Find suitable places to take your dog. Are groups likely to be using the crag or visiting the area? Is it likely to be busy with other dog walkers? Consider the safety and well being of your dog. Is the crag or area you are visiting exposed and cold or is it particularly warm and a sun trap? Have there been reports of ticks in the local area? Always consider the interests of others who use the land – not everyone will love your dog as much as you do. If you’re reading this, the chances are that you love a walk in the mountains, and your reasons are probably as varied as the terrain. Perhaps it’s for the solitude, to put everyday life into perspective; maybe it’s for the physical challenge or the social aspect of being out with like-minded people. But I suspect our underlying reasons are more primitive: the basic human need to wander free in wild places. It seems to me that the most protected species on the moorland, is not the sky lark or the curlew, but the grouse. Stupid birds bred to be shot for sport by cruel people. game keepers, regularly burning off the heather and draining the peat bogs to encourage better breeding conditions, thus destroying the water shed, and helping to flood the towns in the valleys during wet periods. I believe that these land owners are in receipt of government grants for these sort of operations. That these people have the right to ban you from walking your dog over their desecrated land, I find incredible. These restrictions have nothing to do with wildlife, and all to do with money in my opinion.